Pay Off Your Outstanding Property Taxes in Dallas in As Little As 3 Days! How will Direct Tax Loan work for me if I want to pay off my property taxes in Dallas, TX? If you have property tax dues, Direct Tax Loan wants to help you. We work closely with the city tax office to get those outstanding property and real estate debts paid off. As well, our team of experts will assist you with various monthly payment options that meet your needs. It must be noted, however, that there are certain criteria you will need to meet in order to be approved. A homeowner who is over the age of eighteen. Must be owing Texas property taxes. You cannot be going through bankruptcy or have filed for bankruptcy. If I get a tax loan through Direct Tax Loan, how much will it cost me? As a property tax lender, we require no first installments or down payments. The advance you get from us is your only expense. The prices of loans are governed by the government of Texas and are part of your loan. It will depend on the amount of time you need to pay off the loan as well as the amount. We also take into account the type of property you own. Direct Tax Loan estimates a price and interest rate for each customer. It’s still a much better deal than what you will get at the tax office. I really want to get my property loan tax fast in Dallas, TX. How long will I have to wait? We’re the top property tax lenders in Texas. Direct Tax Loan can have your property tax loan to you within three business days. Furthermore, it generally takes no longer than a week to have your Dallas property taxes paid. What happens if you do not pay your property taxes? Do you really want to wait until that happens? It doesn’t take long for property and real estate taxes to build up, causing you even more grief. When you’re behind on delinquent taxes, the local tax office has the authority to charge high tax penalties as well as interest and dues that are close to 50%. If these property taxes are not settled after one year, your rate will expand by 1% each month. Wouldn’t it be better to avoid this hassle? Direct Tax Loans is here to assist you with financing your property taxes. We offer cheap rates and you will save money. Not sure if a property tax loan is right for you? It’s best to look around and see what your options are. If you are disabled, Direct Tax Loan can work to get a property tax deferral for you. Times may be tough for you both in terms of health and finances. If you’re struggling and need more time, Direct Tax Loan will show you how to reach an agreement with your county tax office to pay the loan whenever you’re able to. This is mandated by law. It’s best to act as soon as possible. If you choose Direct Tax Loans, we will help you prevent your local tax unit from starting foreclosure proceedings on your property. Give us a call today! If you want to avoid foreclosure and save money by not having to pay high interest rates and fees due to overdue property taxes, then you need a property tax loan. If delinquent property taxes are an issue, Direct Tax Loan will pay those taxes right to the local taxing authority. We also set up a payment plan so you can pay back your loan. This is how it works: the tax office passes on a lien on your property to Direct Tax Loan. Our company in turn will remove the lien once you’ve repaid the loan. If for some reason you don’t pay back the loan, this lien allows the tax office or Direct Tax Loan to foreclose on your property. We work hard to make sure you don’t have to deal with foreclosure. There are many good reasons for acquiring a property tax loan. The most important being the fact that this loan is a stopgap that disallows the local tax authority to issue more penalties and charge you additional fees. This only increases the sum of money owed on your delinquent property taxes. Direct Tax Loan is a Texas-based company committed to helping our fellow residents of the Lone Star State. When you go with us, we will not charge you any down payment for your property loan. Direct Tax Loan services 100% of all the loans we give to clients. If you’re unsure of what this means, let us explain: if you receive a loan, Direct Tax Loan mails you payment vouchers. We collect your payments and will even help you if there is an issue with expenses. 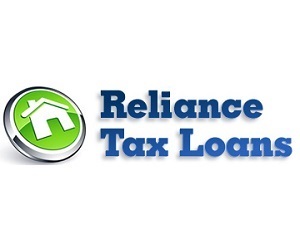 Direct Tax Loan is unique in this regard as it is quite common for property tax lending agencies to give you a loan then hire another company (sometimes out of state) to collect the money you owe them. That’s not what we do. To make the process even easier for you, Direct Tax Loan will ensure that you get to speak to the same customer service representative each time you call and have questions. All information is kept strictly confidential. At Direct Tax Loan, we understand that each customer’s situation is different and unique. That’s why our priority is finding a solution that works for you. You really want to pay off your property taxes, but times are a bit rough for you right now. In order to avoid increases in interest rates and foreclosure, the most sensible course of action to take right now is getting a property tax loan. If you are in arrears due to delinquent property taxes, Direct Tax Loan will assist you every step of the way to get that money repaid. Call us today. We are experts in giving property tax advice. Here’s another plus: Direct Tax Loan doesn’t conduct a check of your credit history. So if you were concerned that receiving a property tax loan from us could do damage to your credit card, there’s nothing to worry about. Regardless of whether you have bad credit or not, you can still get approved for a property tax loan. Clearing title to a homeowner’s property can be a messy affair. You could have inherited your property from a relative. You owe outstanding property taxes but because some individual never did the paperwork properly, you do not have clear title. And, in order to get a property tax loan, you require clear title. The staff at Direct Tax Loan have worked with many homeowners in the same situation as you. If necessary, we can refer you to an attorney who can clear the title to your property. Yes, you heard that correctly. There is no charge to make an application, no unexpected expenses, not even a down payment. The only money you pay is whatever you owe on your loan. If you’re unsure of where to start, come on over to our office in Dallas and we will discuss it with you free of charge. To show our commitment to having you as a customer, we’ll even give you a free estimate. There simply isn’t a better deal in town. At Direct Tax Loan, we know that your time is important. You’ve got a company to run, a family to raise, a household to run. We work hand-in-hand with mortgagee and property tax professionals from around the Dallas area. If you’re looking to get a property tax loan fast, we’re the right people for the job. It’s the fastest about-face in the city. Most loans are usually pre-approved within two days. In all, it will take 72 hours for a review of the completed application and final approval. If you have overdue property taxes, don’t wait any longer. Apply for a loan now! It’s no secret that Dallas is one of the cities in Texas with high taxes. This and many other factors such as financial hardship can make it hard for you to settle your property tax bills. If you don’t pay taxes for your Dallas-based property, the delinquent amount which includes penalties, interest, fines and costs resulting from unpaid property taxes becomes a lien on your property. Your local tax department can sell your property to recover the amount you owe them. Take advantage of property tax loans. Our team of experts at Direct Tax Loan is ready to offer you a property tax loan today. You can use the loan to pay your tax bills and meet your tax obligation. We are one of the best property tax lenders in Dallas thanks to our affordable flexible payment plans, several years of experience and great customer care service. Call our property tax specialists to get started. Property Tax Funding was founded in 2008 to provide Texas property owners with a convenient and manageable way to pay their property taxes. The founding principles of the company are honesty, integrity, and efficiency with their success dependent upon serving these core commitments. They look forward to demonstrating their straightforward business practices and how their ethical approach to client service has earned them an A+ rating with the Better Business Bureau. 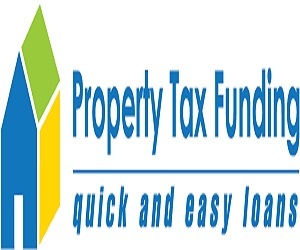 At Property Tax Funding, their dedicated and experienced staff is committed to providing straightforward, economical, and flexible property tax loans. 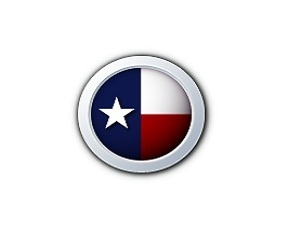 Texas Property Tax Loans is an FYP company run by local Texans in Arlington, TX. Their mission is to provide you with a simple process for quick approval and fast funding for your Texas property tax loan. They service their own loans to guarantee quality service. They take pride in knowing that they take care of their customers and work with them to ensure success through the life of the loan. What started as a small company with a simple idea in 2005, FYP LLC (doing business as Texas Property Tax Loans) began providing an alternative to the existing property tax lenders. Home Tax Solutions has provided property tax relief to thousands of Texans. Their process is simple, their rates are some of the lowest in the industry, and their plans are flexible and affordable. They have one goal at Home Tax Solutions: to remove the worry from paying your residential or business property taxes so you can spend time doing the things you enjoy. 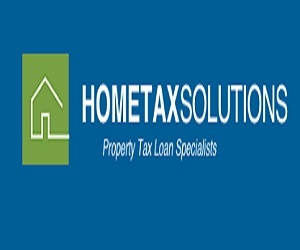 Home Tax Solutions was founded out of the desire to help homeowners and property owners protect their property from exorbitant tax fines and foreclosure. With a team of real estate experts and property tax lenders who collectively have more than 50 years of experience, they’re able to easily tailor a solution to fit the needs of their clients. When it comes to obtaining property tax loans in Texas, they understand that you can never be too careful when it comes to choosing a lender you trust. Their strong financial track record and honest, straightforward business approach have earned them an exemplary rating with the Better Business Bureau and licensing with the Texas Office of Consumer Credit Commissioner. They hold these recognitions in high regard not to praise themselves — but because it puts their clients at ease. As a property tax lender, they are focused on putting your needs and interests first, even if that means recommending that property tax loans are not your best option. 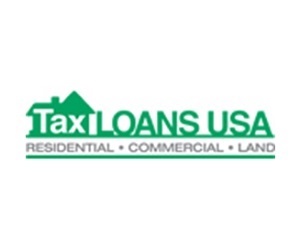 Tax Loans USA is a Texas-based Corporation (LLC) licensed by the State of Texas through the Office of the Consumer Credit Commissioner. The management team brings more than 100 years of experience in Texas real estate law and consumer lending. Each year thousands of people find themselves unable to pay their property taxes on time. Tax Loans USA provides a way for taxpayers to make low monthly payments with no pre-payment penalties and fixed interest rates. Once you are approved, your property taxes are paid in full with NO OUT OF POCKET expenses.